Gwynn Murrill, 2008. Colorado Boulevard, Pasadena, California. Bronze and anamosa limestone, 11'4"h x 19'6" in diameter. 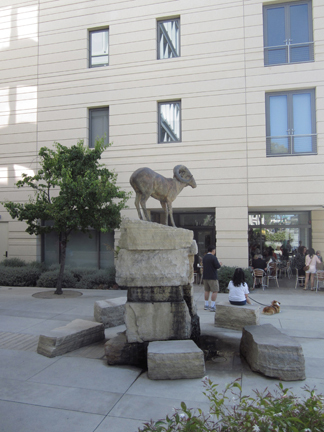 City of Pasadena Public Art Program, Commissioned by MS Property Company.